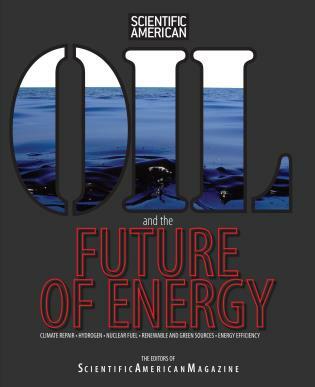 Oil and the Future of Energy brings together the most important and accessible science writing on a topic of intense public interest and concern. In addition to oil, writers cover carbon and climate change, hydrogen, nuclear power, conservation, renewable resources, transitional strategies, and visionaries in the field today. With their impeccable reputation for top science reporting, the editors of Scientific American present influential research and thinking from the most important scientists working with these burning global issues today. This one volume is an unparalleled resource for businesspeople, investors, and individuals who care about the planet. Scientific American, the oldest continuously published magazine in the U.S., has been bringing its readers unique insights about developments in science and technology for more than 150 years. The magazine publishes 15 foreign language editions and has a total of more than 1,000,000 copies in circulation worldwide. International editions include those published in Holland/Belgium, Brazil, China, Czech Republic, France, Germany, Greece, India, Israel, India, Japan, Korea, Kuwait, Poland, Romania, Russia, Spain, Taiwan and the Ukraine. More than 120 Nobel laureates have written for Scientific American, most of whom wrote about their prize-winning works years before being recognized by the Nobel Committee. In addition to the likes of Albert Einstein, Francis Crick, Jonas Salk and Linus Pauling, Scientific American continues to attract esteemed authors from many fields. Today, under the leadership of editor-in-chief John Rennie, the magazine continues to identify and deliver the latest developments in science and technology across a broad range of fields. Rennie received the 2000 Sagan Award for Public Understanding of Science, which is given annually "to honor those who have become concurrently accomplished as researchers and/or educators, and as widely recognized magnifiers of the public's understanding of science."